The Mazda CX-5 and the Volkswagen Tiguan are two of the best new compact crossover SUVs on the market. 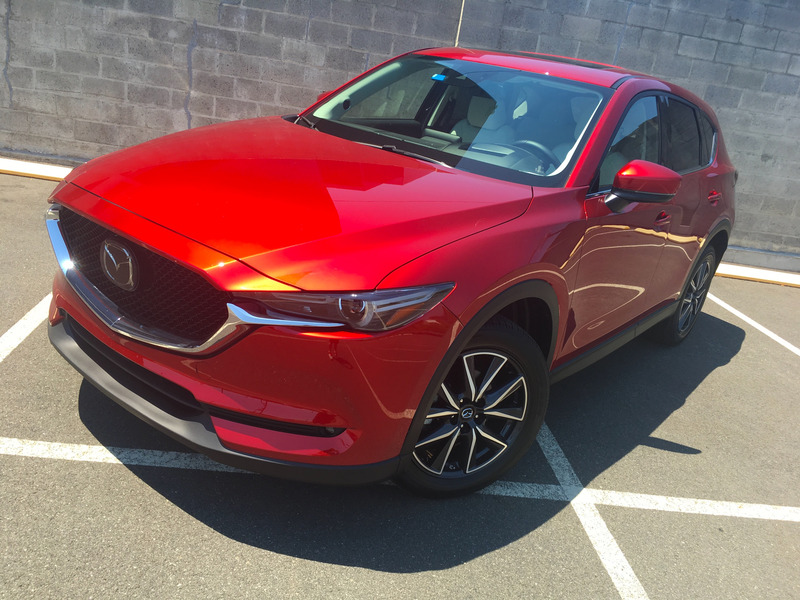 The 2018 Mazda CX-5 starts at $US24,150, while the top-spec all-wheel-drive Grand Touring model starts at $US30,945. 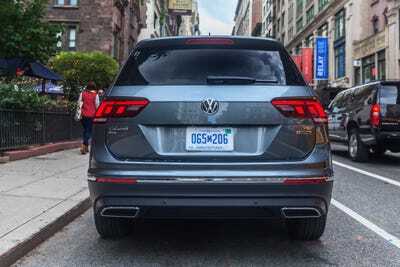 The 2018 Volkswagen Tiguan starts at $US24,595, but the top-of-the-line all-wheel-drive SEL Premium version starts at $US37,550. 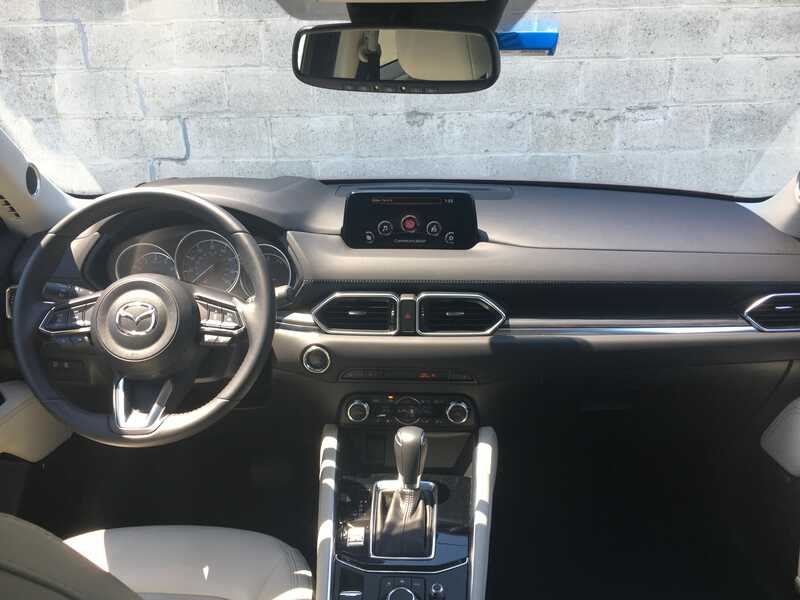 The Mazda’s stylish design and strong driving dynamics won out over the Tiguan’s spacious cabin and top-notch infotainment system. In recent years, the compact crossover SUV has become a dominant force in the marketplace. This year, nearly one in every five vehicles that have been sold in the US is a compact SUV, and the segment has grown nearly 15% since 2017. The Toyota RAV4, the Honda CR-V, and the Nissan Rogue are the three heavy hitters in the segment. Through August, the trio accounted for roughly 40% of the more than 2 million compact SUVs sold in the US. But those looking to stray from the mainstream have a bevy of strong contenders to consider, including the Mazda CX-5 and the Volkswagen Tiguan. 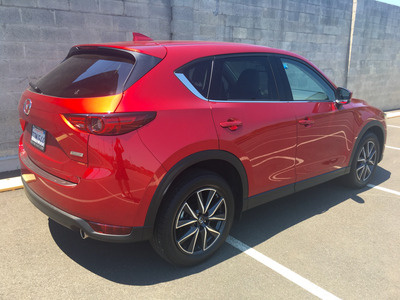 The second-generation Mazda CX-5 debuted for the 2017 model year and has been a hit with both critics and customers. So far this year, CX-5 sales are up more than 26% over 2017. The second-generation Volkswagen Tiguan is all-new for the 2018 model year. It’s roomier, more efficient, and available with a host of modern tech features. In many ways, the gen-two Tiguan allowed VW to fix many of the shortcomings that plagued the slow-selling model it replaced. 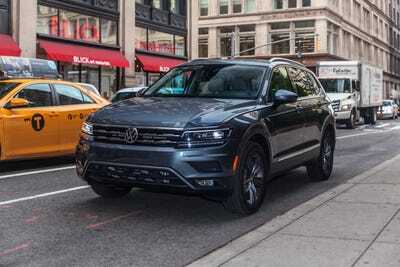 Only the long-wheelbase version of the Tiguan will be available in the US. 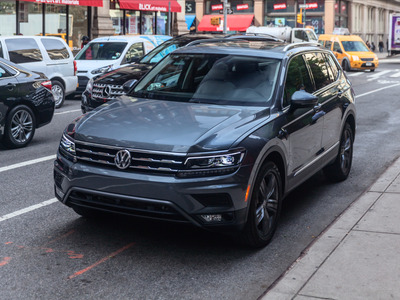 Sold in other markets as the Tiguan Allspace, the US Tiguan is 8.5 inches longer than the standard model. Over the past year, Business Insider has had the chance to experience the top-of-the-line variants of both the CX-5 and the Tiguan. First up is the Mazda CX-5. 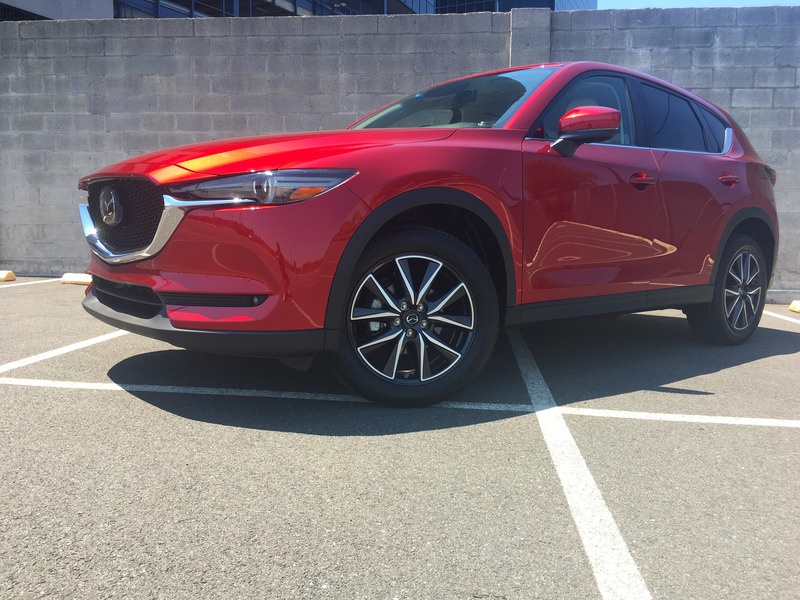 The 2018 Mazda CX-5 comes in three flavours: Sport, Touring, and Grand Touring. The base front-wheel-drive CX-5 Sport starts at $US24,150, while the mid-grade Touring model starts at $US26,215. The top-of-the-line Grand Touring starts at $US29,645. All-wheel-drive is available on all three trim levels as a $US1,300 option. 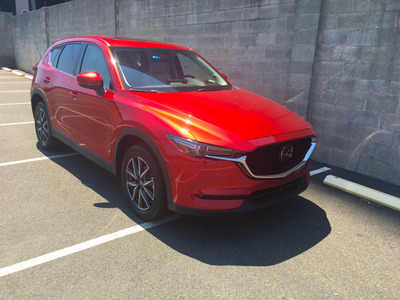 Our 2018 Mazda CX-5 Grand Tour AWD started at $US30,945. With options and fees, our CX-5 carried an as-tested-price of $US34,685. The CX-5 features Mazda’s signature Kodo design language, which aims to deliver a timelessly elegant look while conveying the spirit of Japanese craftsmanship. The result is a CX-5 that is both striking and memorable without being over the top. The rounded rear end is decidedly in contrast to the angular headlights and front grille. 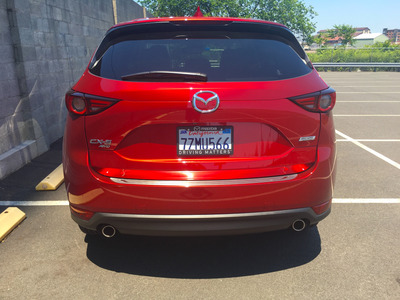 The Mazda CX-5 is 179.1 inches long and 65.3 inches tall. The CX-5’s interior really impresses. It’s stylish yet boasts stellar ergonomics. Material quality is close to what you would find in a premium-badged vehicle. I found the white leather-trim seats in our test car to be well bolstered and comfortable, with good adjustability. 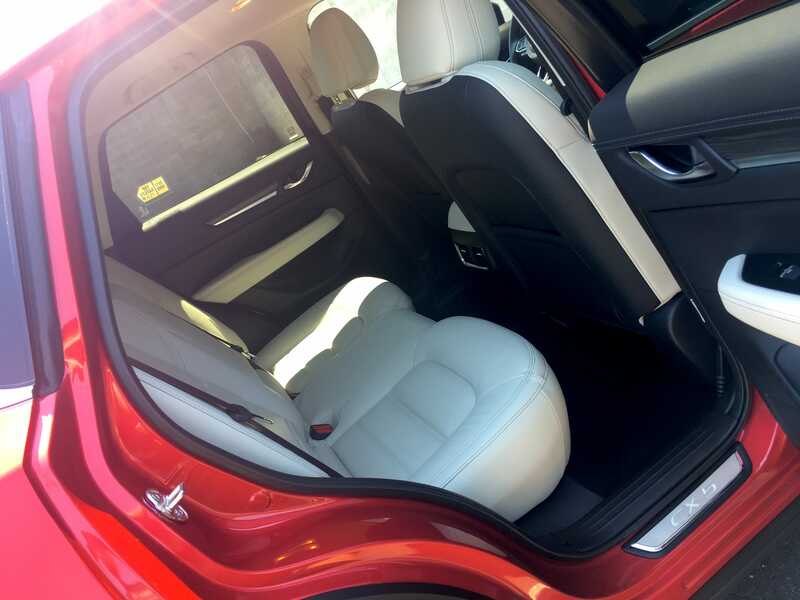 The rear cabin is roomy, with adequate space for two adults. The center seat is more geared toward children. The CX-5’s 39.6 inches of rear legroom may be a bit tight for taller folks. On the road, the cabin is quiet and refined. Extra sound deadening fixes one of the biggest complaints about its predecessor, which had one of the louder cabins in the segment. 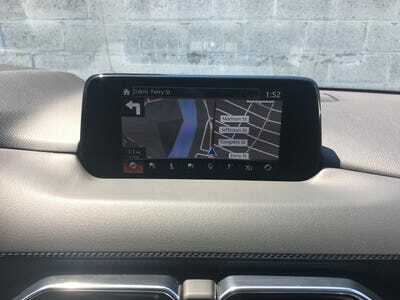 The centrepiece of the front dash is a 7-inch touchscreen running the company’s homegrown Mazda Connect infotainment system. 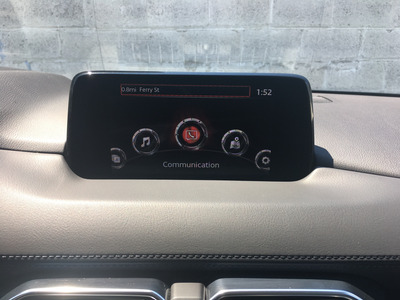 The system, which can also be controlled using a rotary dial mounted in the center console, features a simple and straightforward layout. Its user interface leaves much to be desired. For example, it took to some hunting before we figured out how to cancel a route on the navigation system. 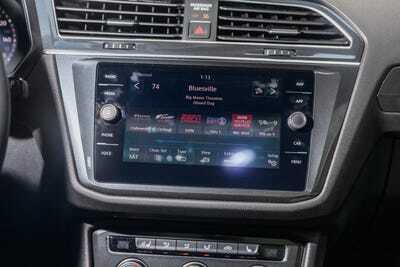 And unfortunately, Apple CarPlay and Android Auto are not yet available on the CX-5. It’s not as crisp as premium systems found in luxury brands, but it looks on par with most mass-market units. 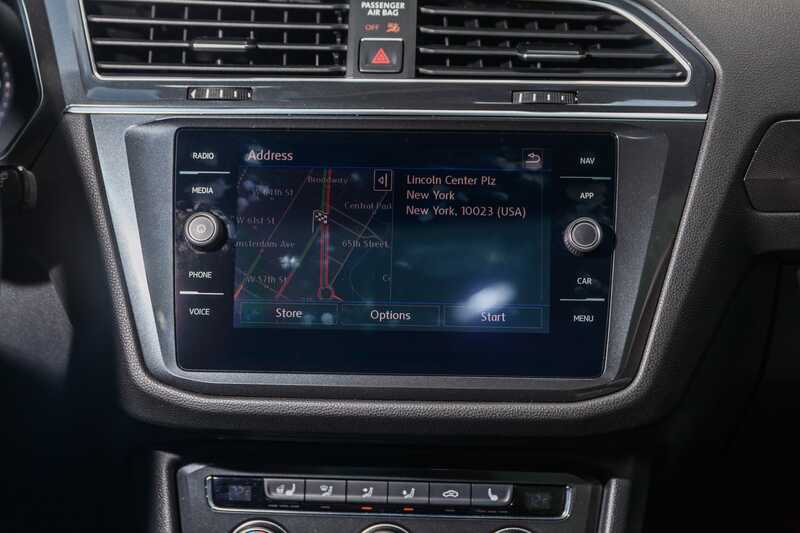 Overall, the CX-5 Grand Touring came equipped with a healthy complement of tech goodies, including a head-up display, adaptive cruise control, a rear camera, lane-keep assist, “smart city brake support,” rear cross-traffic alert, and a 10-speaker Bose sound system. Lift the single-piece tailgate, and you’ll find a solid 30.9 cubic feet of cargo room. Fold down the 40/20/40-split bench, and that expands to 59.6 cubic inches. Under the hood is a 2.5-litre, 187-horsepower, naturally aspirated four-cylinder engine. 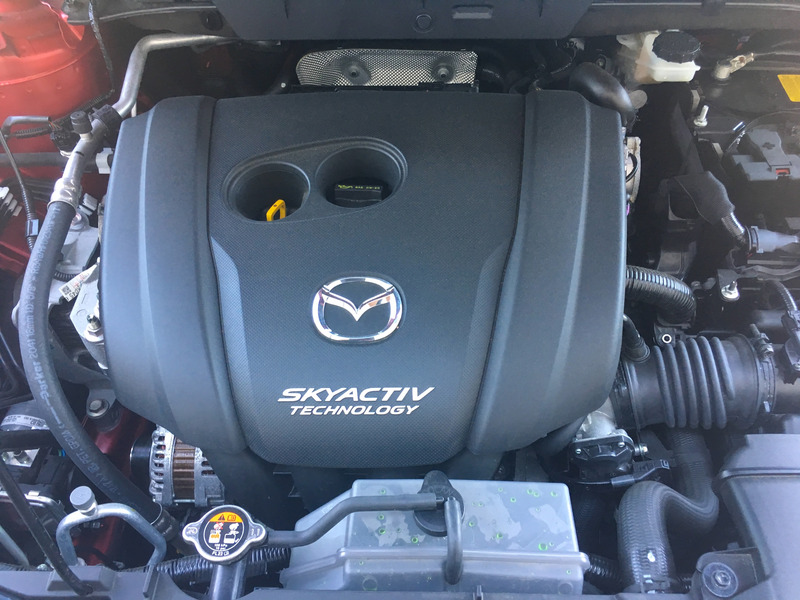 It uses Mazda’s lean burning, high-compression SkyActiv technology to increase fuel economy and improve emissions. 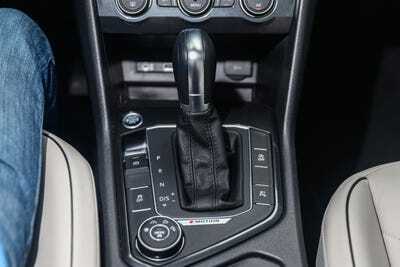 It’s hooked up to a smooth-shifting six-speed automatic and all-wheel drive. 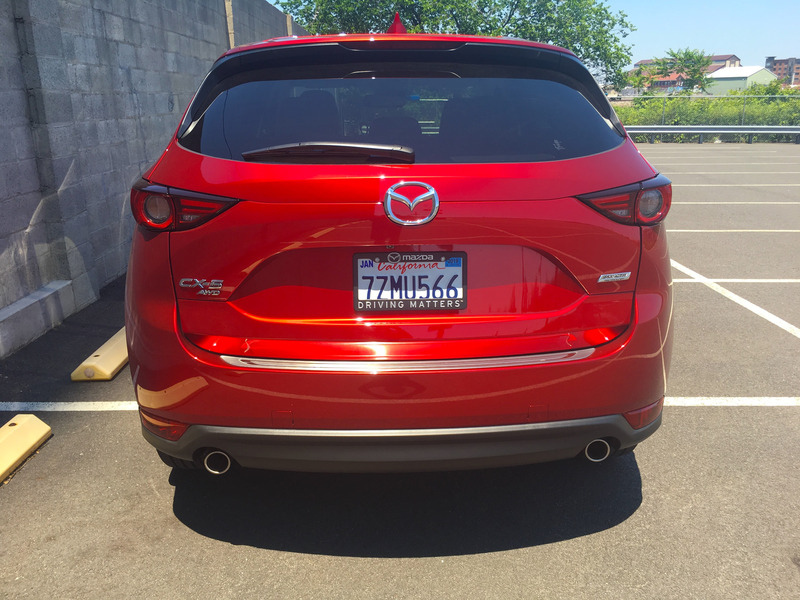 According to Mazda, the all-wheel-drive CX-5 is good for 24 mpg city/30 highway. Driving dynamics is the CX-5’s forte. However, the CX-5’s powertrain wasn’t without fault – since it functions without the additional torque provided by a turbocharger, the Mazda struggles a bit under hard acceleration. The transmission is generally very quick to “drop down” a couple of gears to get the engine back into the heart of its power band. 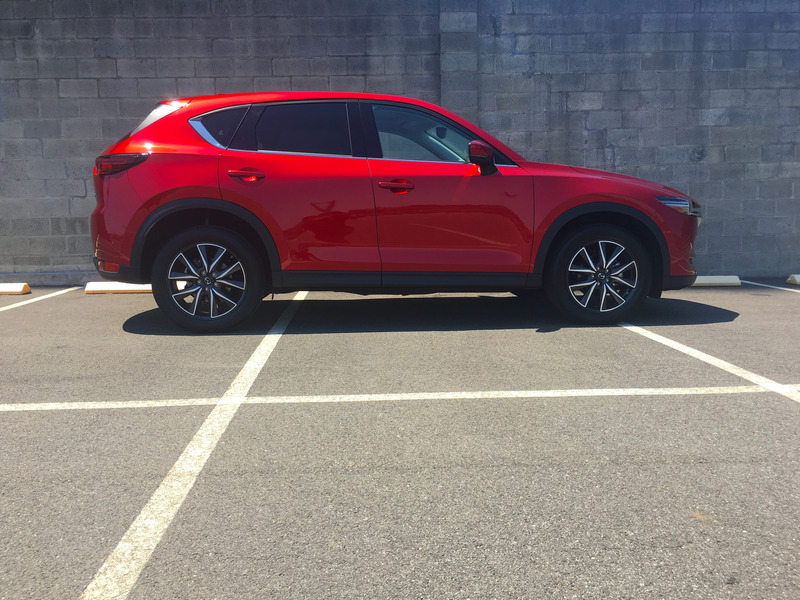 As far as handling goes, the CX-5 is quite impressive. The chassis is well balanced, while the steering is crisp, with good feel. Next up is the Volkswagen Tiguan. 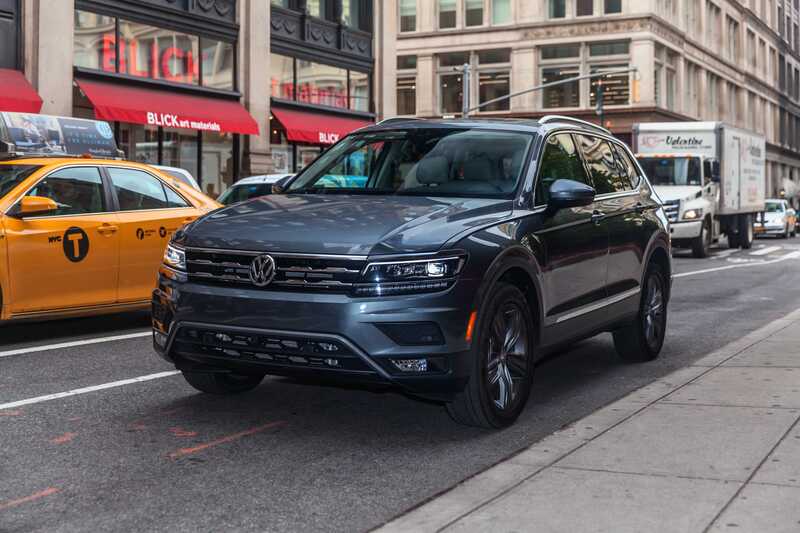 The 2018 Volkswagen Tiguan is available in four trim levels: S, SE, SEL, and SEL Premium. The base front-wheel-drive Tiguan S starts at $US24,595, while the top-level SEL Premium starts at $US36,250. 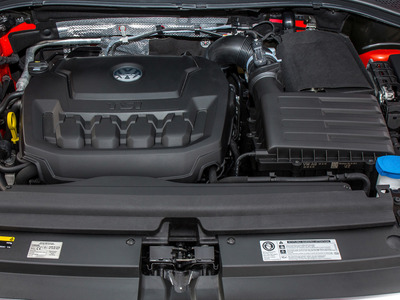 VW’s 4Motion all-wheel-drive system is available as a $US1,300 option on all trim levels. 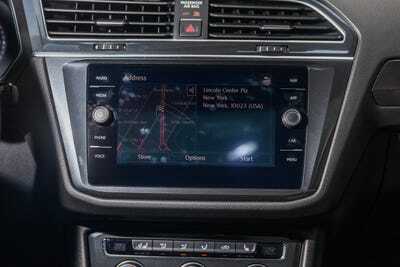 Our Tiguan SEL Premium 4Motion started at $US37,550. With fees and options, our test car came to $US38,950. Aesthetically, the new Tiguan has been given VW’s new corporate front fascia, with rounded-out headlights and grille. Thanks to the MQB platform, the Tiguan is wider and rides lower, giving it a look that’s athletic yet refined. That said, ground clearance has actually improved by an inch over its predecessor, to 7.9 inches. In the back, the Tiguan gets a formulaic SUV rear end with a single-piece lifting rear hatch. 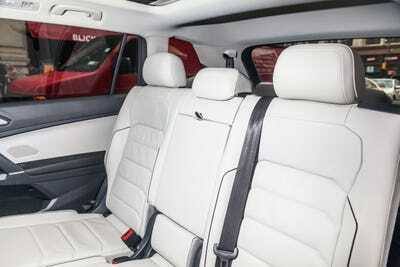 Inside, the Tiguan cabin is also quite impressive. 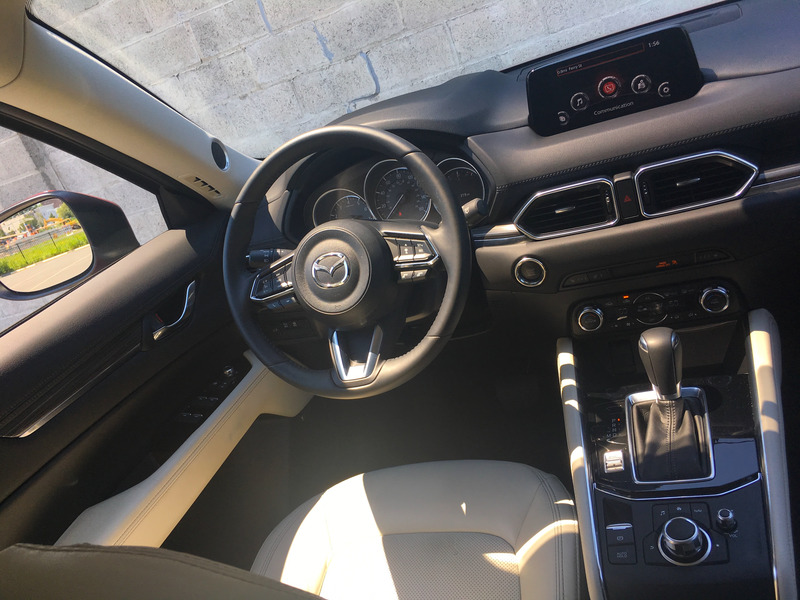 The interior is understated and not quite as stylish as the Mazda, but still well designed, with superb ergonomics. 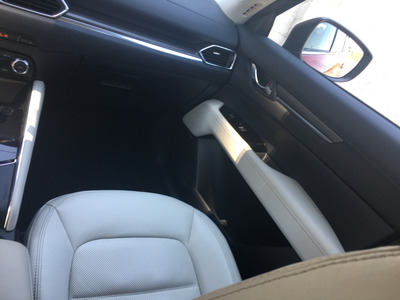 The overall quality of the materials used is quite good, while the seats are softer and more supportive than those in its predecessor. Our test car came equipped with the optional 12.3-inch Volkswagen Digital Cockpit configurable instrument display. 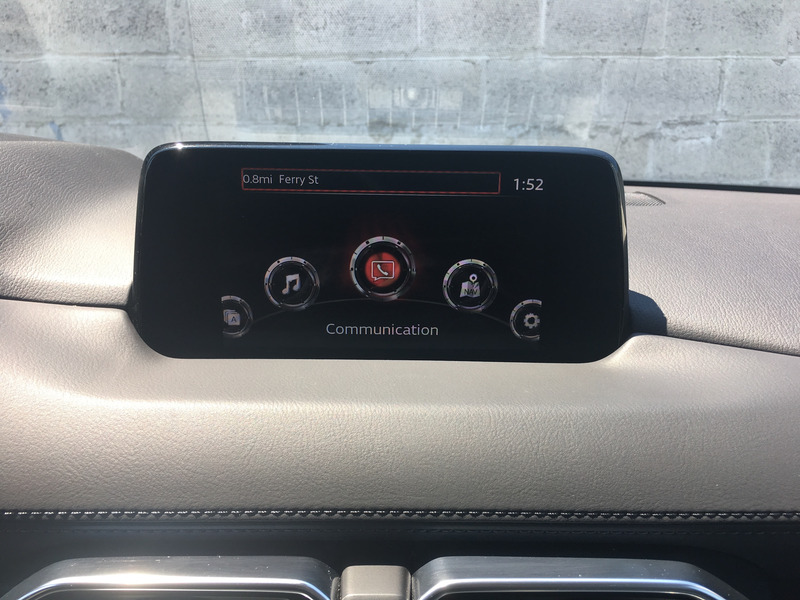 The system is intuitive, a dialed-back version of Audi’s flashier Virtual Cockpit. 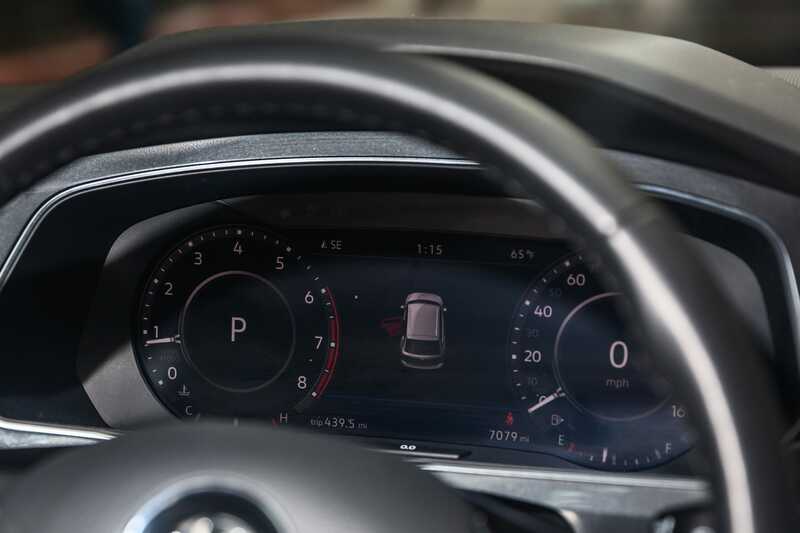 Lower-spec cars come standard with a traditional analogue gauge cluster. 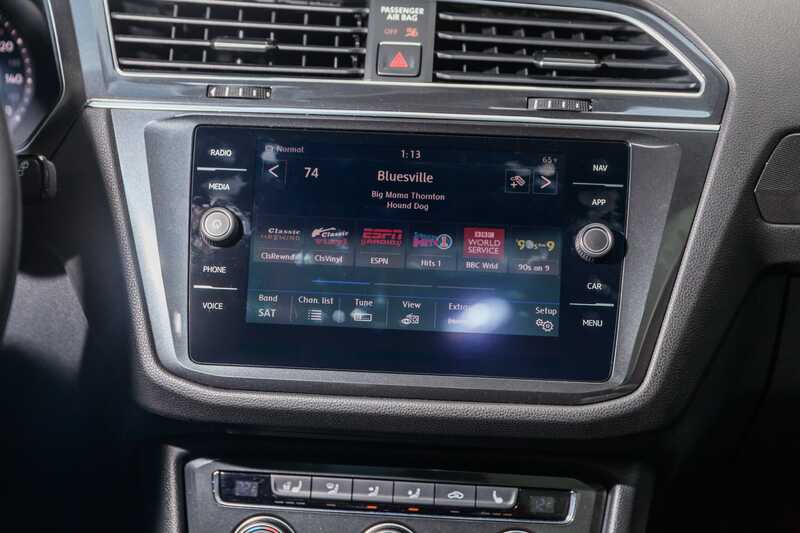 The center stack is dominated by an optional 8-inch touchscreen display running VW’s latest MIB II infotainment system. Tiguans come standard with a 6.5-inch screen also running MIB II. While the screen tends to smudge a bit easier than others we’ve tested, MIB II is one of our favourite systems. It’s quick, responsive, and easy to learn. The screen-side buttons work well with the on-screen menus. 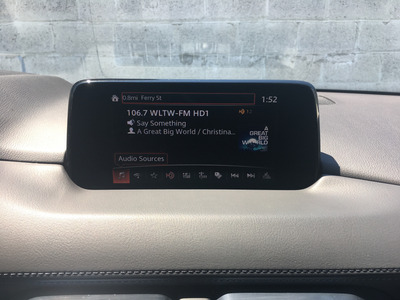 VW’s MIB II features full Android Auto and Apple CarPlay integration. The center console features a traditional PRND shifter rather than a joystick. There’s also a drive-mode selector with several on- and off-road settings. 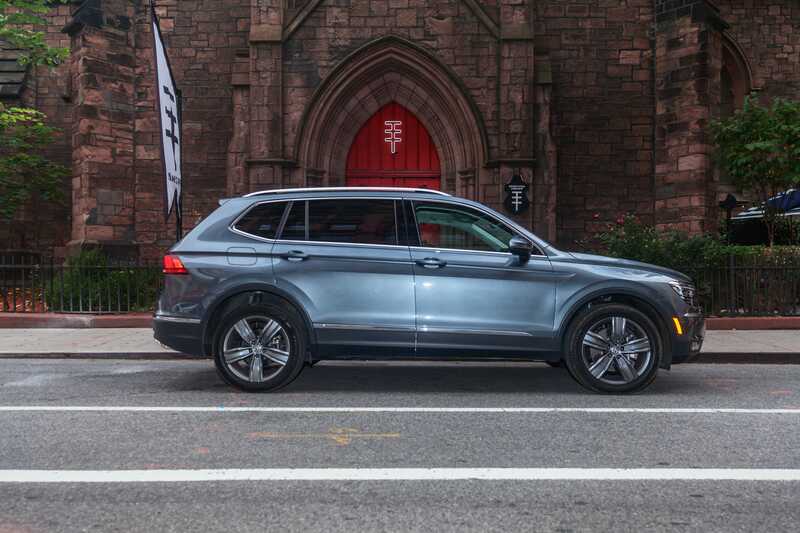 At 185.1 inches long, the new Tiguan is nearly a foot longer than its predecessor and 6 inches longer than the CX-5. 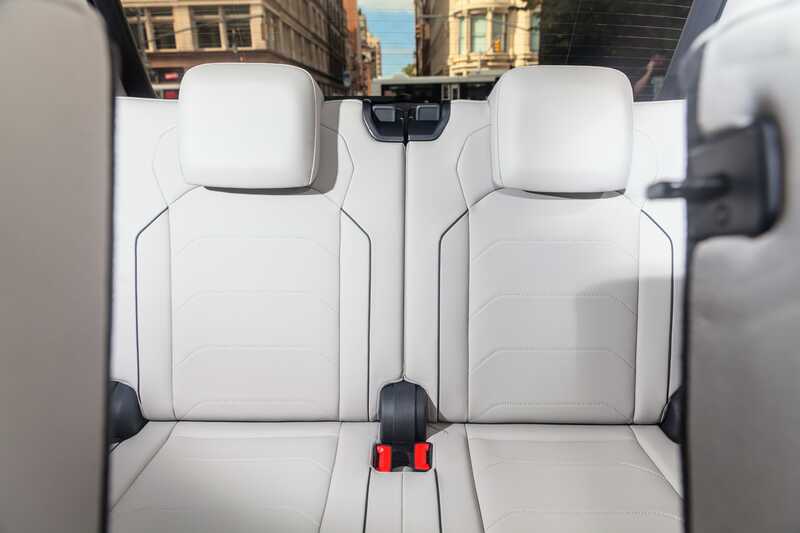 As a result of the extended wheelbase, the rear cabin of the VW is now significantly roomier than its predecessor. Second-row legroom is now 36.5 inches, up nearly an inch over the gen-one Tiguan. Oddly, that’s still less than the CX-5’s published figures, even though the VW feels considerably more spacious. The extended wheelbase also allowed VW to offer a third-row seat. It was too cramped for everyone except the smallest of children, and it’s a $US500 option on all-wheel-drive models, though it comes standard on front-wheel-drive Tiguans. We really used it only as a cargo divider. Cargo capacity is the greatest beneficiary of the VW’s extended wheelbase. 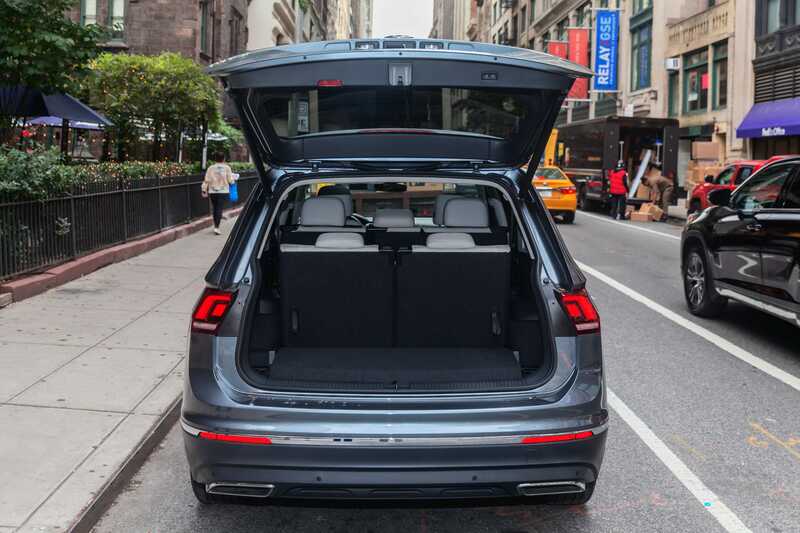 The Tiguan now boasts 33 cubic feet of cargo space behind the second row. 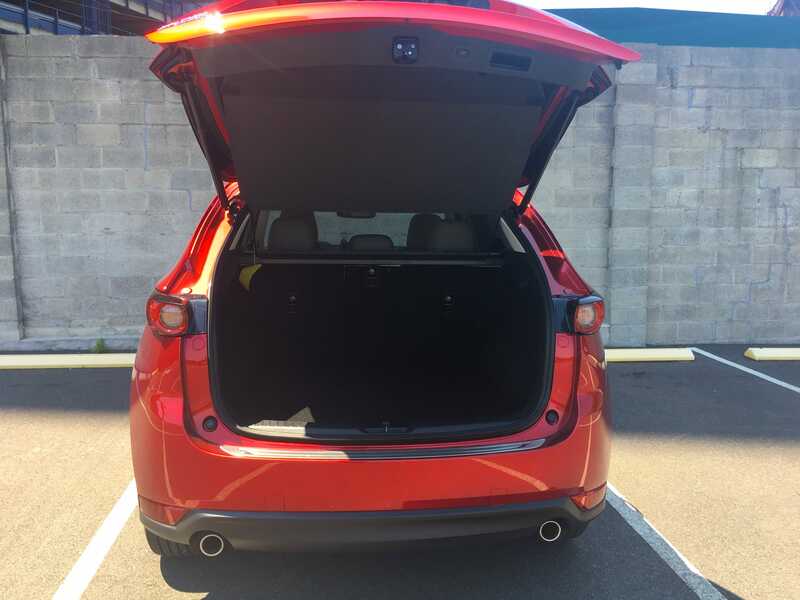 That’s more than 9 cubic feet more than the outgoing model and 2 cubic feet more than the CX-5. With the second row folded, the cargo capacity increases to 73.5 cubic feet. All US-market second-generation Tiguans are powered by an updated version of VW Group’s venerable E888 2.0-litre, 184-horsepower, turbocharged inline-four-cylinder engine, connected to a new eight-speed automatic transmission. According to VW, the Tiguan is capable of 21 mpg city/27 highway. The driving experience is where the new Tiguan falls short. Most issues revolve around it’s being woefully underpowered. 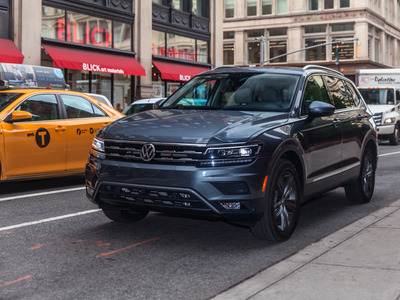 With 184 horsepower, the second-generation Tiguan boasts 16 fewer horses than the car it replaces but is nearly a foot longer and 300 pounds heavier. In addition, my colleague Matt DeBord complained of some roughness in the drivetrain and juddering at low speeds. According to Car and Driver, the sprint to 60 mph takes a leisurely 9.1 seconds – not good, considering the old car could do it in about 8 seconds. Meanwhile, the magazine managed a zero-to-60 time of 7.8 seconds in a second-generation Mazda CX-5 it tested. However, the VW wasn’t horrid to drive. The Tiguan handled nicely, while the ride was compliant and comfortable. The winner is the Mazda CX-5. Both vehicles showed themselves to be tough and capable competitors in the segment. The Volkswagen Tiguan delivered a strong performance with its ample cargo room, well-designed cabin, and segment-leading infotainment. On the other hand, the CX-5 brings its stylish good looks, well-appointed interior, impressive fuel economy, and sporty driving dynamics. The competition between the CX-5 and the Tiguan was a close one. 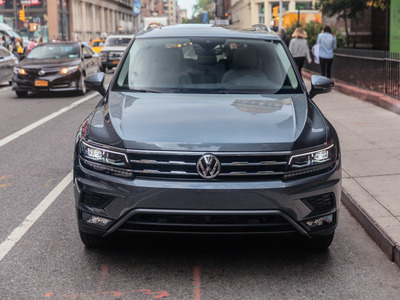 As the owner of a first-generation Tiguan, I was really rooting for the Volkswagen. But the CX-5’s vastly superior driving experience sealed the deal for me. In a segment of the market where driving pleasure is so often put on the back burner, the CX-5 is a breath of fresh air. 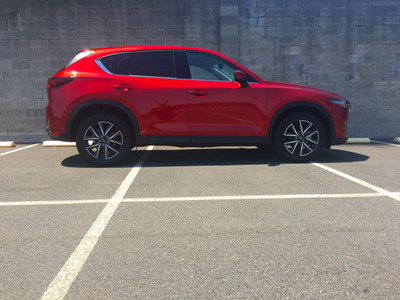 For that reason, the Mazda CX-5 is the winner of this comparison test.